As a Client Data System (CDS) user, you know that Ebix CRM (formerly E-Z Data) is committed to delivering solutions that set the industry standard for customer relationship, practice and agency management. As part of that commitment, we developed SmartOffice, a Web-based successor to CDS, more than a decade ago. Since then, we have maintained CDS for those customers who did not wish to migrate to SmartOffice. However, given the maturity and overwhelming popularity of SmartOffice compared to CDS, we believe that dividing our resources in this way no longer serves our customers’ best interests. For this reason, we ended official support for CDS on December 31, 2011, to devote 100% of our attention to SmartOffice. We realize that you may have questions about this announcement. For answers, please refer to our list of Frequently Asked Questions . As our flagship on-demand CRM product, SmartOffice incorporates the most valuable features of CDS. With tens of thousands of users depending on it every day, SmartOffice is an ideal solution for current CDS users. For SmartOffice licensing and data conversion details and pricing, please contact the Ebix CRM Sales Department at (800) 777-9188. Find everything you need to get up and running with CDS quickly on the Getting Started with CDS page. Here you will find links to recommended training resources and tools designed to help you quickly and successfully begin using the most powerful CRM solution available. Fast Classes spotlight advanced tools and functionality and serve as a supplement to the Core Courses offered on this web site. A comprehensive listing of all published Fast Classes appears on the Fast Class Page. Prospects or clients, contacts are the heart of your business. Capture, view, and update critical contact information with the tools covered in the Contact Management Course. After completing CDS Contact Management, continue on to the next course: CDS Activity Management. Track contact related activities - phone calls, appointments, and projects - in the CDS Calendar. Timed and Untimed activities are also covered in the Activity Management Course. After completing CDS Activity Management, continue on to the next course: CDS Contact Correspondence. Please take a moment to give us some feedback on the CDS Activity Management Course. Fast Classes spotlight advanced tools and functionality and serve as a supplement to the Core Courses offered on this web site. The following Fast Classes cover tools unique to the Client Data System Calendar. You’ve got hundreds (if not thousands) of critical dates in your Client Data System – Contact Birthdays, Policy Renewal Dates, Investment Maturity Dates – just to name a few. Put those dates to work for you with the Important Dates Posting tool. CDS will schedule reminders for virtually any date you’ve captured in your system, including dates captured in your dated custom fields. You can launch CDS in any of the three calendar view options and see your daily, weekly or monthly schedule at login. You can save time by using filters in CDS 6 to move or copy a series of activities at one time..
You’ve just conducted a successful seminar and a number of attendees have requested some additional information on retirement planning solutions. Let the CDS Mass Activity Creation tool help you schedule follow-up phone calls to capitalize on your interested prospects! The Contact Correspondence course provides in-depth training on all aspects of the Client Data System correspondence tools. After completing CDS Contact Correspondence, continue on to the next course: CDS Data Mining. Please take a moment to give us some feedback on the CDS Contact Correspondence Course. Fast Classes spotlight advanced tools and functionality and serve as a supplement to the Core Courses offered on this web site. The following Fast Classes cover tools unique to Client Data System Correspondence. The Data Mining course provides in-depth training on Client Data System tools that can be used to research, organize, and report on data captured in CDS. The concepts taught in this course will help you mine your valuable data to increase sales and customer service effectiveness. Fast Classes spotlight advanced tools and functionality and serve as a supplement to the Core Courses offered on this web site. The following Fast Classes cover tools unique to CDS Filters, Sets, and Dynamic Reports. Thank you to all who entered and congratulations to the winners of the first CDS Dynamic Report Contest! This week's fast class begins a three part series that will review the process of mining data in CDS using Dynamic Reports. Part one reviews the process of filter creation. CDS Dynamic Reports make it easy to develop and maintain contact relationships. This Fast Class demonstrates how simple it is to add contacts to a set, generate correspondence, and create activities using Dynamic Report Data. The Client Data System (CDS) allows you to store an amazing amount of data for each of your contacts. From time to time, you may need to export some of that data to add it to a report or e-mail it to a client. Data from virtually any Summary view in CDS can easily be exported in a format that can be viewed in a number of different applications. Filter and Set Combo Boxes can be used to mine contact data by combining set membership information and filter criteria in a contact summary screen. The holidays are just around the corner and after that…tax season! Now might be an ideal time to get clients thinking about making contributions to their IRA accounts. Let CDS help with a dynamic report that will identify clients who have already contributed, clients who have yet to contribute, and contributing clients who have room to contribute even more! The following Dynamic Reports can be added to CDS. Simply download the appropriate .zip file, extract the contents, and follow the included instructions. For more information on the purpose of each report and for details on how the report was created, view the accompanying Fast Class. For detailed instructions on downloading dynamic report files, view the Dynamic Report Download Fast Class. This Dynamic Report includes a filter that will identify all contacts turning 65 and 1/2 years old in the next six months. Identify all primary contacts for Business records.This report also includes a filter to identify all businesses with 10 employees or less. After the Dynamic Report has been added to CDS, the filter can be removed for a general business contact list. Identify contacts that have made contributions to their IRA accounts since 2000. This report can be used to analyze contribution patterns and identify clients that have not made a contribution in the current year. Sample IRA Contribution Reminder letters included in both E-Z Editor and Microsoft Word format. Identify potentially ideal life settlement prospects meeting the following criteria: Contacts 65 years old or older with an inforce life policy with a face value of $250,000 or greater. Sample Life Settlement Prospect letters included in both E-Z Editor and Microsoft Word format. Identify LTC prospects meeting the following criteria: Contacts between the ages of 40-55 with an income greater than $50,000 holding some form of life insurance but no LTC coverage. Sample LTC Prospect Approach letters included in both E-Z Editor and Microsoft Word format. Two dynamic reports that will help you meet the changing needs of your clients by taking advantage of up-to-date contact income information capured in CDS. Below Minimum Coverage dynamic report: Contacts with income $45K to $65K with less than $250,000 coverage. Below Ideal Coverage dynamic report: Contacst with income $45K to $65K with less than $500,000 coverage. Filter parameters for both reports can be adjusted at run-time. Sample approach letter included. Calculate fees for time spent with a selected client. Fee calculation based on time and hourly rate information captured in the Time Log Information screen. The Time Log Based Fee Report Fast Class includes a brief demonstration of the CDS Time Log. IRA account holders will need to take mandatory distributions beginning the year they turn 70 1/2. This report will identify all IRA account holders turning 70 1/2 years old in 2005. Sample IRA Mandatory Distribution Reminder letters included in both E-Z Editor and Microsoft Word format. This course demonstrates how the Activity Tracking Module prompts CDS users to enter activity outcome information when an activity is marked as completed in the CDS Calendar. In addition, the Activity Tracking Module can be used to reschedule missed or postponed appointments. The Activity Tracking Module tracks all actions and subsequent activities of a completed activity such as calls placed, appointments scheduled, and sales made. The Course Companion of the Activity Tracking Module course covers the highlights of the Activity Tracking Module course in printable .pdf format. Viewing employee data on the Group Census tab. Reviewing all policies and plans linked to a business record in CDS. Viewing specific plan benefit information including different tiers of coverage within plans. Crystal reports unique to the Group Benefits module. The following tutorials provide training on the basic functionality of the Investment Tracking Module (ITM). The overview covers ITM navigation, searching for positions, veiwing a contact's holdings, reviewing transaction history, posting a transaction, and running reports. Before positions can be entered for contacts in CDS, a security must exist in the Security Master. The following tutorials will guide you through the process of setting up the Security Master, updating prices, and creating individual positions. Having consolidated financial statements and reports at your fingertips can significantly ease the often complex process of investment tracking. View sample client statements and financial reports by downloading the Investment Tracking Module Sample Reports below. After your securities are setup in the Security Master, the following tutorials will help you setup your Transaction Download Module (TDM) for reading and updating data downloaded from DST FAN Mail. Learn how to download and check your data for errors to ensure the integrity of your financial data. This interface is a utility that allows for an export of data from the CDS database to an XML file that will be read by Morningstar's Advisor Workstation or Principia Pro software. Tracking variable annuities in CDS involves creating sub-account information in the Security Master for each VA before VA positions can be created for contacts. The following tutorials demonstrate adding VA data to the Security Master, creating master records, adding VA position, and entering VA transfer. The investment positions of multiple contacts can be tracked using the Portfolio tool in CDS. Portfolios can be created in order to track the performance of a group of investment positions or to combine reporting on a families holdings. The following tutorials demonstrate how to create and use Portfolios in CDS. The Outlook® E-mail Posting utility makes it easy to post incoming and out-going e-mail correpsondence directly to a contact SmartPad™. The Policy / Pending Case Management course covers everything you need to know in order to enter, organize, and track insurance product and individual policy information in CDS. Lessons two and three offer specific training on the optional Pending Case Management module which allows you to track policy information through multiple ‘pending’ stages before a policy becomes inforce and active. Lesson one covers the first step of policy tracking in CDS. Learn to enter vendor information, then product information for each product offered by specific vendors including risk classes and underwriting information. In lesson two, you will see how to set up and add underwriting guidelines including defining age and face bandings. This lesson will also demonstrate how to copy risk classes from one product to another and introduce the Pending Case Management module. Lesson three will demonstrate how the Pending Case Management module can be used to view the status and remaining requirements of existing pending cases and how to enter a new pending case. In addition, lesson three demonstrates how follow-up activities can be created along with new pending case information. Lesson three also includes a brief overview of policy and pending case reports available in CDS. Every other week a new Fast Class movie will be published on the Client Data System Training and Support home page . Fast Classes spotlight advanced tools and functionality and serve as a supplement to the Core Courses offered on this web site. A comprehensive listing of all previously published Fast Classes appears below. CDS 6 gives you the ability to add pictures of your contacts to contact records. Word documents, Excel spreadsheets, scanned images, documents in .PDF file format – virtually any file you can save on your computer or network can be added to a Contact’s SmartPad. When an area code change happens, hundreds of phone numbers captured in CDS can be affected. The Area Code Change tool makes it possible to quickly change area codes in CDS in a few simple steps! *Whenever possible, Ebix CRM recommends storing all contact data in one database. Need to take a printed snapshot of a contact’s critical information – address, phone numbers, key relationships, dependent information, policy benefits, and investment positions? The Contact Reports feature of CDS allows you to quickly generate a Crystal Report with important contact information. CDS has a number of Key Relationship definitions available so that you can effectively link the contact records of family members, friends, and business associates. But if you can’t find just the right relationship in the system definitions, you can create your own! Uh-oh. You’ve turned to a mail house to help with a mass mailing to all of your prospects and now you need to provide them with an Excel file containing all the names and addresses. How difficult is this going to be? Do not fear! The Import/Export utility can easily export data out of CDS in a format that can be opened by a number of different applications, including Microsoft Excel. If time is money, the CDS Import/Export utility can save you a bundle! This weeks Fast Class edition demonstrates how the Import/Export utility can be used to create contact records from data stored in a comma separated value (.csv) file in a few simple steps. Use the CDS Administrator utility to restore deleted Contact, Business, and Advisor records. The variety of data you can capture with the Client Data System (CDS) is immense. But you may need to capture data that is unique to the way you interact with your contacts. If you need to track which of your contacts own a home or rent, when a contact attended one of your seminars, or who likes to Golf – view this Fast Class to learn how you can use the Custom Fields in CDS to meet your unique needs. Dependents can easily grow into prospects and even clients. SmartOffice makes it easy to track your contacts as their needs change. Learn how to promote your dependent records to full contact records with a simple click of a button. This Fast Class edition will demonstrate the HIPAA workflow that you can use to help you ensure that HIPAA protected insurance products, individual contacts, and letters are correctly identified in CDS 6. You’ve got hundreds of contacts to enter into the Group Census of a business record in CDS. You can spend all day adding the contacts by hand, or you can import the contacts directly into the Group Census of the business record using the Import Census Names tool. Let the built in integration tools in CDS help you leverage contact data captured in CDS and the financial planning tools of Profiles+™ Professional. This Fast Class demonstrates how easy it is to export contact data from CDS – including investment, policy, and dependent data – directly into Profiles+™ Professional. Let CDS keyboard shortcuts save you time when performing frequent tasks such as adding SmartPad records, creating Calendar Activities, and sending e-mail messages. Let CDS and the Laser App Integration Module help you save time by quickly populating Laser App forms with data captured in CDS*. *Laser App and the CDS Laser App Integration Module both purchased separately. CDS has built in tools to help you easily eliminate duplicate contacts. The Potential Duplicate Contacts report and the Merge Contact tool will help you maintain data integrity and keep CDS working at peak efficiency. You've been working with a group of prospects that have recently become clients and need the change reflected in their contact records. With the Mass Modify tool, you can change the data in the same field for a number of records at one time. The new Outlook® Synchronization utility in CDS 6 makes it easy to synchronize your CDS contacts, activities, and SmartPad™ notes with Microsoft® Outlook®. Capturing up-to-date contact information in CDS is vital to ensuring that the insurance needs of your contacts are met as their lives change. The dynamic reports featured in this Fast Class will help you meet the changing needs of your clients by taking advantage of up-to-date contact income information. Get started faster. Select a startup module to view calendar items, policies, investments, or pending cases immediately when you login to CDS. Ever get a partial message to return a phone call with just a phone number and a first name? With CDS System Filters, you can search for contacts based on phone number, zip/postal code, email address, policy numbers, and family Income. One of the many useful resources in CDS, the Things Done Report will track added, modified, and deleted records by user in CDS. In addition, the Things Done Report is a useful tool for preparing a database for maintenance such as the Database Rebuild. Attach files such as Word documents, Excel spreadsheets, scanned images, and documents in .PDF file format to any Contact Record, SmartPad, or Policy in CDS. Learn how to create filters to mine data captured on the Custom Fields tab. Want a quick way to view a list of all the activities in your office? The Activity List tool makes it easy to view a well-defined list of activities - such as all the scheduled phone calls from last week, or important appointments from a specific user. View activities organized by date range, activity type, timed or untimed activities, priority level, and more! The Calendar in the Client Data System (CDS) is a very powerful tool that allows you to capture critical information for all of your appointments, meetings, and to-do items. Problem: you’re not always at your computer to check your schedule or verify availability. Solution: Printable Calendar Activity Reports that allow you to have your CDS Calendar at your fingertips when you need it! The enhanced Activity Recurrence tool in CDS 6 makes it easy to create CDS calendar entries for weekly staff meetings and monthly training sessions in just a few simple steps. Add multiple participants and the activities will be added automatically to the CDS Calendar of each invited participant. New features and enhancements have been added to the CDS Calendar that will make Activity Management more intuitive and efficient. Need to schedule a meeting for two or more users? In this lesson, learn how to view the activities of other users in your CDS database. Why start from scratch when writing personalized letters to your contacts? Save time by creating templates for individual contact correspondence. One of your contacts has just sent you some critical information via e-mail and you need to get that posted to his SmartPad. No Problem! 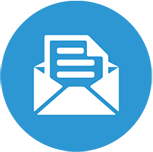 With E-Z Mail, you can post incoming and outgoing e-mails to contact SmartPad records in CDS. Note: Microsoft Outlook 2000 (or later version) or Lotus Notes R5 (or later version) must be installed before using E-Z Mail. You’ve assembled an impressive list of contacts in CDS and now you want to make sure you connect with them during the Holiday season. Use the Avery© label templates included in CDS to quickly generate labels for Holiday correspondence - or any mass correspondence needs you may have throughout the year! Make quick work of your holiday greeting card label printing! CDS comes with a variety of pre-formatted Avery© label templates to help speed the creation of holiday greeting card labels. After using the Avery © label templates included in CDS to generate labels for Holiday correspondence, you can export the formatted labels into Microsoft Word. Once in Word, you can use the font formatting tools to further customize font style, size, and color. Post Outlook e-mail messages to contact SmartPad records, send CDS form letters as e-mail messages, and send mass e-mails with the Client Data System E-mail Posting for Microsoft Outlook utility. Your annual review letter is almost perfect. The one thing missing is a way to make unique additions to each mailing without having to create a brand new form letter each time. Runtime User Inputs allow you to make additions to each mailing, as you need them. CDS gives you the ability maintain excellent client relationships by addressing contact correspondence in accordance with your client’s wishes. This Fast Class will demonstrate the different ways in which CDS merge codes will populate contact information for spouses and domestic partners. Need to add new clients to your list of monthly newsletter recipients? Or how about add new invitees to your golf group? No problem! In this fast class, learn the different ways contacts can be added to existing sets in CDS. Marketing age sensitive products can be tricky, especially if you need to search your database for prospects that will reach a specific age in the next six months. Filtering ‘for the half’ is a technique that allows you to find all contacts of a certain age – and a half! You’re marketing a new group policy that’s ideal for small businesses with 10 employees or less. Let CDS help you quickly create a dynamic report identifying the primary contacts for your group policy prospects. Now you can download dynamic reports, filters, and sample form letters featured in previous Fast Classes. This Fast Class will walk you through the simple process of downloading files from the Dynamic Report Download page in the Online CDS Training and Support Center and adding the files to CDS. You've captured a tremendous amount of data in CDS. Now you need to identify prospects for new sales. Dynamic Reports enable you to capitalize on selling opportunities in your book of business by effectively mining data captured in CDS. Filter and Set Combo Boxes can be used to mine contact data by combining set membership information and filter criteria in a contact list screen. Research indicates that some of the ideal candidates for LTC products are life insurance policyholders between 40 and 55 years old. CDS can help you identify these potentially ideal candidates with a filtered dynamic report. Rather than comb through summary lists trying to find individuals who will need to take mandatory IRA deductions in the coming year (the cross section of contacts turning 70 ½ who hold IRAs), let CDS do the work for you! This Fast Class will demonstrate one way to create a Dynamic Report that will find all individuals turning 70 ½ during the current year that hold some form of IRA security. You may need to track information unique to your business that is not tracked in CDS by default. Custom tracking enables a user to save and look up specialized business and contact information. Policy renewal dates can sneak up on your clients, especially with ten-year (or longer) term policies. CDS can help you remind your clients of policy expiration dates in time for them to make important decisions regarding policy renewal or conversion. This Fast Class will demonstrate one way to create a Dynamic Report that will find all ten-year term policies with a renewal date in the next 60 days. Time can be money with the Time Log Based Fee Report! The CDS time log makes it easy to track time spent meeting the needs of your clients. This Fast Class demonstrates how to turn time log data into a dynamic report that will calculate a fee based on an hourly rate. Need to print a detailed pie chart that displays your client's assets? Learn how to create an investment graph using the Investment Report Setup utility in CDS. In the constantly changing world of investment products and regulations, CDS makes it possible for you to keep investment report disclaimers current, offering your clients (and your business) up to date protection. The Investment Report Setup utility offers several different options for running investment reports. Sort an investment report by asset class, add a disclaimer, or create a pie chart representation of a client's assets and more! Control files generally expire each year at the end of November. In mid-October, the Ebix CRM Admin Team begins sending out links to E-Z Renewal to all users of CDS 3.0 or higher. Users of earlier versions of CDS will receive updated control files with new expiration dates via email. When new licenses are purchased, control files can be updated using https://register.ez-data.com . Contact the Ebix CRM sales team for more information. On rare occasions, control files can become corrupted. In the case of a corrupt control file, the Admin Team can send out a replacement control file to resolve the issue. Everyone likes a good shortcut. This Fast Class will demonstrate how to create a shortcut for CDS on the Windows desktop that will automatically enter the Database Name and User Name into the CDS login screen, saving time whenever you need to login to CDS. As the saying goes, an ounce of prevention is worth a pound of cure. The best way to prevent losing your data after a system failure or other event is to have a reliable and consistent method for backing up your CDS data on secure media. It is also essential to create a secure backup before upgrading CDS or your operating system. Just like your car needs regular oil changes to keep the engine running smoothly, CDS needs maintenance too, to ensure that the database is running at peak efficiency. This week’s Fast Class demonstrates one very important component of the recommended CDS maintenance routine - the Database Rebuild. CDS allows you to track contact age, policy renewal date, and investment value information. The Data Validation tool will ensure that these and other important values are accurate and up-to-date. You've just retired your old server computer and need to transfer your CDS Server folder to a new server computer. In this lesson, learn the steps of copying and pasting the CDS Server folder from an old server computer to a new one. A fast database increases office productivity. And there is an easy way to ensure that CDS is running fast! The database cache is a useful utility that keeps track of recently viewed data cutting down on the time it takes for CDS to load data views. Running S.I.R. (Synchronize/Initialize/Re-index) maintenance ensures that the database cache is functioning at optimal efficiency. S.I.R. can also be run when data views seem out of sync or to clear up C-tree errors, should any occur. Every other week a new Fast Class movie will be published on the Client Data System Training and Support home page . Fast Classes spotlight advanced tools and functionality and serve as a supplement to the Core Courses offered on this web site. A comprehensive listing by date of all previously published CDS Fast Classes appears below. Before the Fast Class, helpful hints and functionality specific training was delivered via E-Z News. A comprehensive listing by date of all published editions of E-Z News appears below. Live web-based training is a cost-effective, personalized training solution that combines the benefits of interacting with an Ebix CRM instructor with the convenience of the internet. Web-based training sessions are generally used as a supplement to on-site training and often involve module-specific or advanced functionality training. Typically, these sessions last one hour and allow for Q & A following the presentation. The fee for this type of session is $200. For more information or to schedule a session, contact Marlon Urias, Training Coordinator at (626) 585-3515 ext. 7312 or marlon@ez-data.com . An Ebix CRM trainer can be sent to your location to conduct a group training session for your staff members. The advantage of this type of training is that all team members can be trained at one time and can benefit from the collaboration and one-on-one interaction that naturally occurs in this type of environment. Because the training takes place in a training room or computer lab, the staff members are free from their daily distractions (e.g., phone calls, e-mails, etc.) and can completely focus on the materials presented. For more information and pricing, contact Marlon Urias, Training Coordinator at (626) 585-3515 ext. 7312 or marlon@ez-data.com . Ebix CRM (formerly E-Z Data) ended official support for CDS on December 31, 2011. For more information please read the Important Announcement for CDS Customers . If you have a question regarding CDS functionality, we recommend that you look at the list of training movies and Fast Classes as a resource. The following training resources have been designed to help you set up the Client Data System and perform periodic maintenance to ensure that CDS is performing at peak efficiency. Use the links in the recommended maintenance schedule above to view Fast Classes detailing how to perform each maintenance routine. All available Maintenance and Setup Fast Classes are listed in detail below with included links to the Fast Classes and printable versions in .pdf format. Everyone likes a good shortcut and this Fast Class edition will demonstrate how to create a ‘smart’ one! A smart shortcut for CDS on the Windows desktop will automatically enter the database name and user name into the CDS login screen, saving you time whenever you need to login to CDS. As the saying goes, an ounce of prevention is worth a pound of cure. The best way to prevent losing your data after a system failure or other event is to have a reliable and consistent method for backing up your CDS data on secure media. It is also essential to create a secure backup before upgrading CDS or your operating system..
A database rebuild will help maintain the integrity of the indexes in a database. It is recommend that a database rebuild be performed on a monthly basis or after importing or converting large amounts of data. Since a database rebuild is a fairly involved process that can take a few hours to run, it may be advantageous to schedule a monthly database rebuild after hours or on a weekend when no users will need to log in to CDS. A fast database increases office productivity. And there is an easy way to ensure that CDS is running fast! The database cache is a useful utility that keeps track of recently viewed data cutting down on the time it takes for CDS to load data views. Running S.I.R. maintenance ensures that the database cache is functioning at optimal efficiency. S.I.R. can also be run when data views seem out of sync or to clear up C-tree errors, should any occur. Ensure that all users have logged out of CDS. Unzip the file and open the ZipUpdate folder. Copy and paste the ZipCodes.dat and the ZipCodes.idx files into the Sysdata folder. Run a Complete Data Validation and select all Data Validation Options, including the Fix Address using Zip Table option. User guides are available in .PDF file format and can be viewed with Adobe Reader®. If you do not have Adobe Reader® installed on your computer, you can download it for free by clicking on the link in the Additional Resources section of this page.